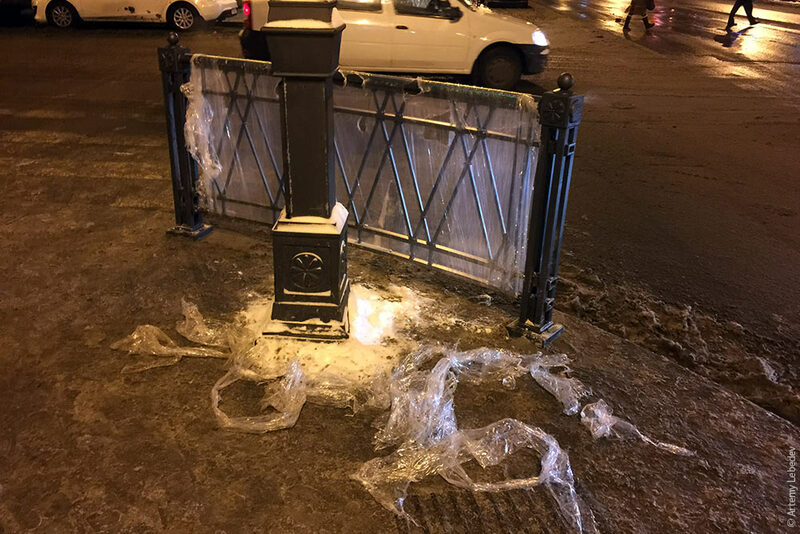 Я не успел написать про потрясающей красоты столбы на Литейном проспекте, как пролетел год, и очередные потрясающие столбы стали устанавливать на улице Восстания. 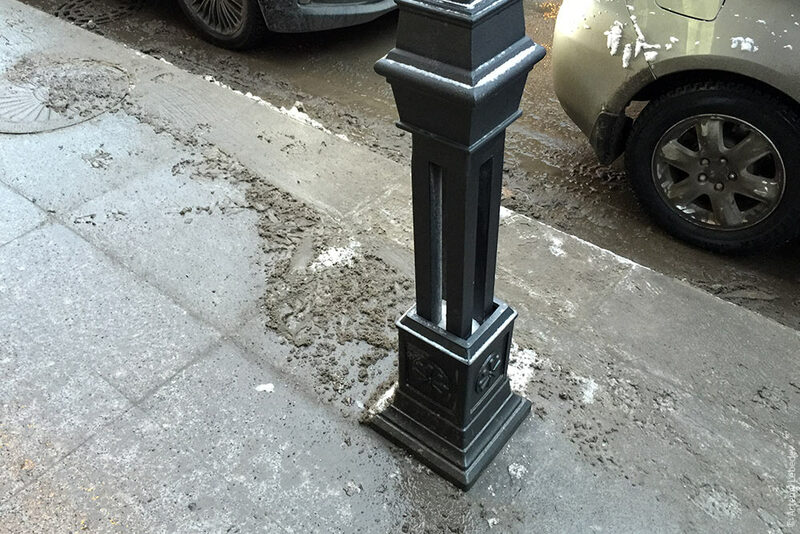 I never got around to writing about the incredibly gorgeous lampposts on Liteyny Avenue, and now a year has flown by and yet more incredible lampposts are being installed on Vosstaniya Street. Так что начну рассказ с них. 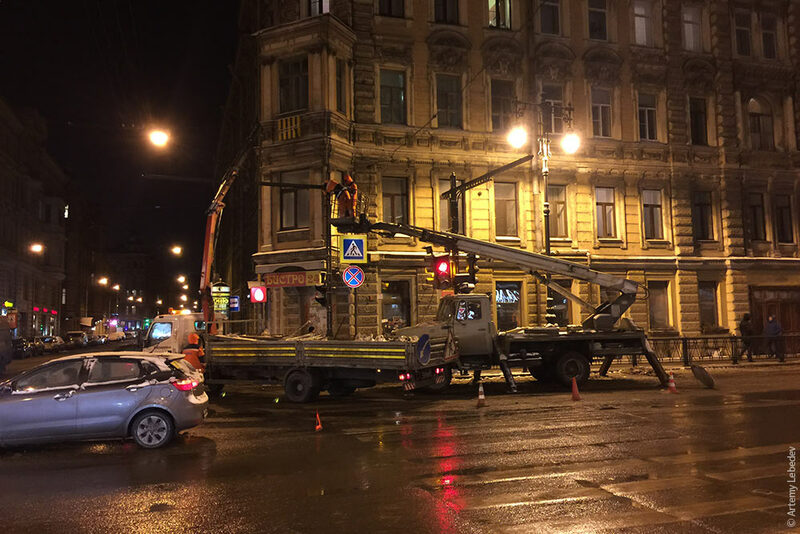 Установка идет полным ходом. So I’ll start with those. Their installation is in full swing. Мало кем из горожан замечаемый момент задвоения дорожных знаков и светофоров — одни новые, другие старые. Одни останутся, другие через пару дней будут демонтированы. 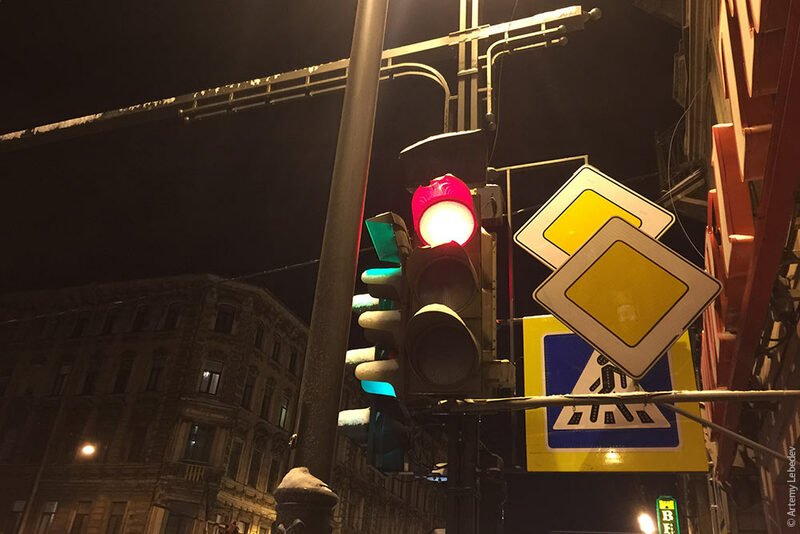 Few locals notice this moment of duplicate traffic lights and signs: one new and one old. One will remain and the other will be taken down in a couple of days. 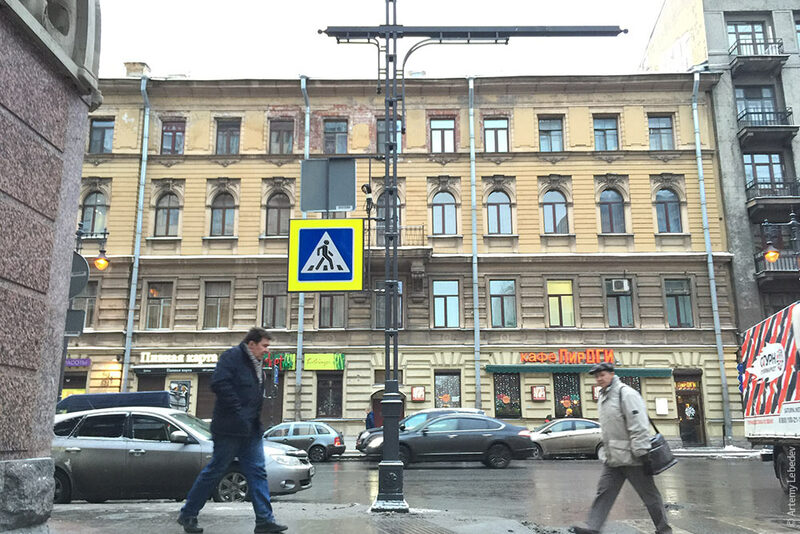 The lampposts on Vosstaniya Street consist of four square pipes combined to form a single slotted beam. It looks very ornate and elegant. The new barrier panels on street corners are also magnificent. They were installed so recently that the plastic wrapping hasn’t even been taken off them yet. A rare moment. 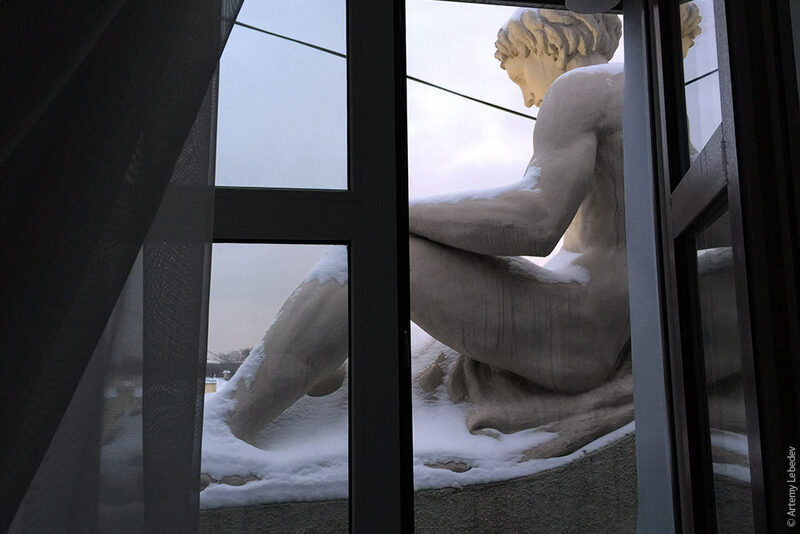 In what other city would you have an entire sculpted dude right outside your hotel window? 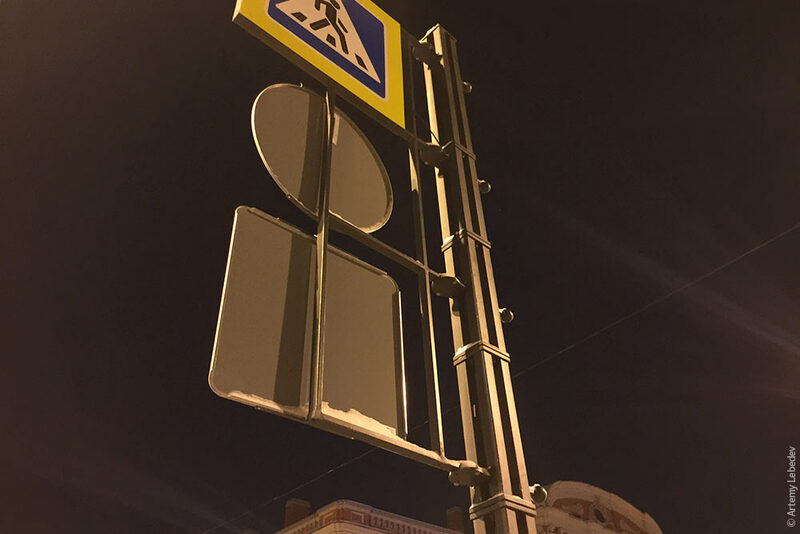 Вся главная городская красота сегодня — только в Питере. 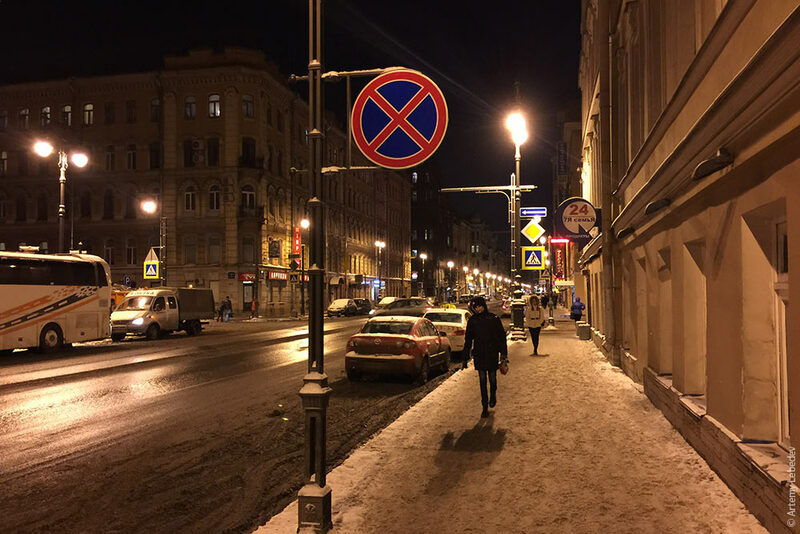 The main bulk of urban beauty these days is all in Saint Petersburg.